The crazy saga surrounding Odell Beckham Jr. and the New York Giants has come to an end. For the past year and a half, many have thought OBJ should’ve never taken the field last season (where he broke his ankle and missed 11 weeks of the season) and held out for a new deal. However, this season, as the same talking topics swirled on Beckham, he showed up to camp, did the right things all around, and now is being handsomely rewarded. On Monday morning, the former 12th overall pick in the 2014 NFL Draft and the New York Giants agreed upon a 5 year extension, which had been in the works for more than a year. 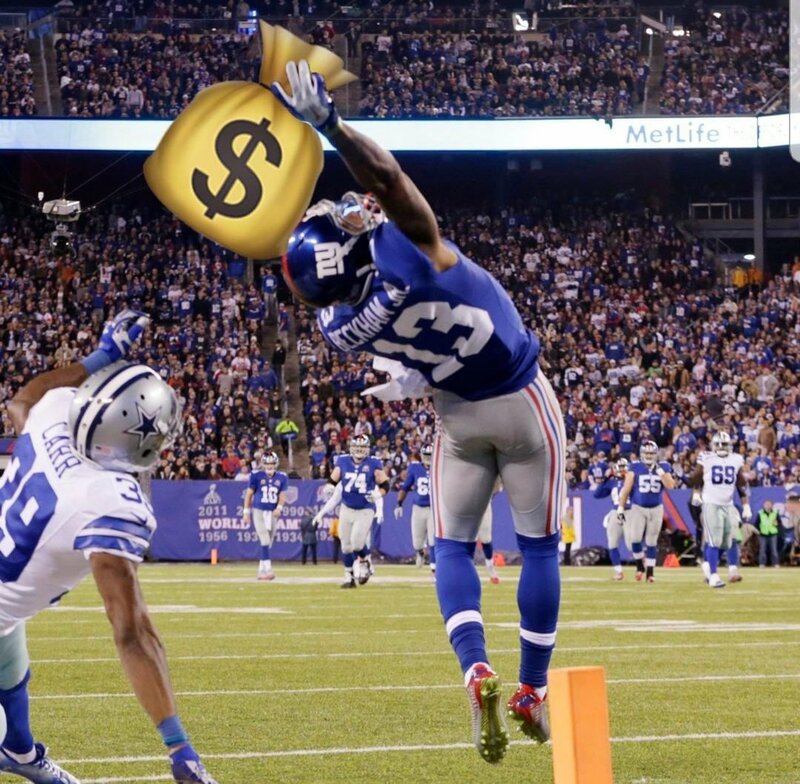 The deal would make Beckham the highest paid receiver in NFL history, and highest paid non-quarterback offensive player in the league. The deal is for a reported 5 years and $95 million with an insane $65 million guaranteed (most guaranteed money for a wideout ever). The deal includes an annual salary of $19 million a year with $20 million being paid out in the first three years of the deal. Now, all of the Odell Beckham Jr. not playing this season without a new deal rumors will come to an end, as the Giants wide receiver gets a giant new contract, that is more than deserved. Aside from being well-deserved because of his brand new clean attitude, and never complaining this offseason, the contract for Beckham, which topped the new contracts of NFL Stars such as Brandin Cooks, Mike Evans, DeAndre Hopkins and Antonio Brown, was deserved because of his play on the field. Over the past 15 years, no wide receiver has more catches (313), Yards (4,424) or touchdowns (38) through the first 47 career games of their career like Beckham does (per Field Yates). The newly revamped Giants offense for head coach Pat Shurmur needed Odell Beckham Jr to play alongside Evan Engram, Sterling Shepard and Saquon Barkley to truly be successful, and Dave Gettleman got the job done. Now, all the pieces are in place for a truly remarkable offense for Eli Manning. After the old regime of Ben McAdoo and Jerry Reese didn’t show it to be a priority to keep Odell, the new regime has shown that, along with drafting Barkley second overall, signing Beckham to this contract clearly shows the Giants are in win now mode. Hi,I read your blog named “Giants, OBJ, Agree to 5-year Deal – The Sports Tank” like every week.Your story-telling style is awesome, keep up the good work! And you can look our website about proxy server list.